We are often asked where you can take a Satellite phone and why you would want one anyway. The beauty of a Sat Phone is that simply put, if you can see the sky you can make a call. The service runs off satellites in the sky, and does not rely on cellular phone towers or land lines. So that makes the service perfect when you are off the grid, like on a cruise, trekking the outback, mountain climbing or on Safari in Africa. The tricky part is that not all countries allow you to bring in your Satellite phone. The response can vary from confiscating the device (expensive for you as they run anywhere from $700 up to a few thousand dollars) to arresting you and incarceration as a foreign national. Check below for the current list of countries to beware and certainly do your due diligence and contact the local consulate or embassy to find out if Satellite phones are considered illegal. China – It is illegal to take a Satellite phone into China as all GPS services are banned. However, cell phone service is reliable and strong. Avoid your personal phone and contacts being scanned at customs. Consider taking a rental phone or SIM card to stay connected during your trip. Unless you take a WiFi hotspot, you can expect not to access some social media sites, including Google sites. Cuba – The ban on CELL phones in Cuba was lifted in 2008. This was not the case for Satellite phones. It is illegal to import into Cuba without a permit from the Cuban Ministry of Informatics and Communications. So probably not worth the risk, better to take an international plan or rent a global phone for your trip. India – Bringing a cell phone into the country can lead to imprisonment in India. Numerous journalists and and a few businessmen have spent time in prison merely for bringing the devices for their reality TV shoot or trekking tour. It is simply not worth being detained and questioned for espionage activities. Best not to risk it and pick up a local burner phone, or turn on your international plan. Morocco – We are including Morocco on our list of countries to check before traveling. 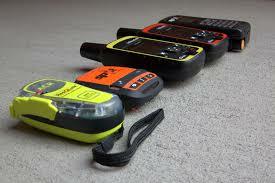 Several reports of delayed or confiscated Satellite phones were reported this year in Morocco. This included devices shipped ahead of time to students about to study abroad, and to individuals traveling with the phone packed in their luggage. Use your regular cell phone, just beware the data charges. WiFi hotspots will work in Morocco for internet, Maps and social media. Myanmar – Satellite phones are banned, although some have taken the risk and managed to pass by customs unnoticed. Again, as the Sat phone is expensive, whether you own it or rent it best to be safe. Check in advance and get a permit with the Ministry of Post and Telecommunications. Satellite phones can be rented on a weekly rate with minute bundles and automatic recharges as required. For data requirements BGAN devices are available to rent. Ideal for remote locations such as safari trips and cruises. 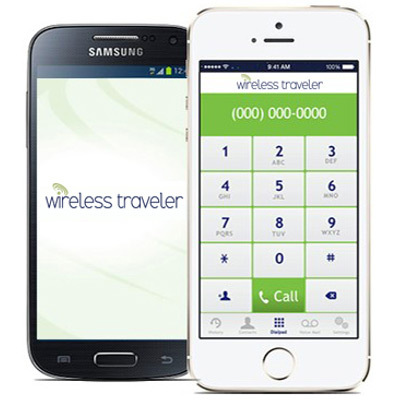 For more information on the device and your specific needs contact us at support@wirelesstraveler.com or download and complete the order form.